John Gonzalez and Amy Sherman of MLive and Behind the Mitten spend some time in Gaylord, Michigan to explore all the fun things you can do in the winter time. 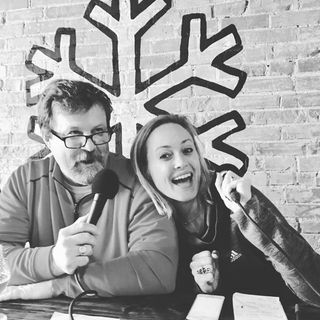 John and Amy stop at Snowbelt Brewing Co. in ... See More Gaylord. The downtown brewery opened Aug. 20, 2016. It is owned by Nate and Angelina Muellenberg. They operate on a 5-barrel system and offer about 8 beers on tap. They make "good tasting beers with a wide range of styles," Nate said. Beer of the Week is the "My Chest Hurt IPA," which comes in a little heavy at 7.9% ABV. John and Amy learn more about Gaylord from Mayor John Jenkins. John and Amy also talk to Sandy Mattingly of Pine Cone Accommodations about vacation rentals for all seasons. She can book small or large groups.